Forrester gauged opinion from 590 CEOs and senior business leaders working across Europe, the Middle East, and Africa to produce a report entitled “The New Frontier: unlocking the value of Data”. Business models across the globe are rapidly changing, and organizations must not only survive; they should thrive and deliver memorable experiences to their customers. It emerged that while 77% of firms consider gaining better insights on their customers as a key priority, but the growth of rich-data, its complexity and variety poses a challenge to most of them. More than 52% of respondents say overall costs to serve customers have increased within the past 12 months – and are expected to continue rising. 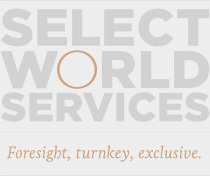 JOIN US for senior-level conversations, exchange of ideas and networking at Select World Services’ Exclusive, intimate, by invitation only CXO dinner Becoming a True Insight-Driven Business – Connecting the Unconnected.